I really don’t know why I’ve never written this one down. 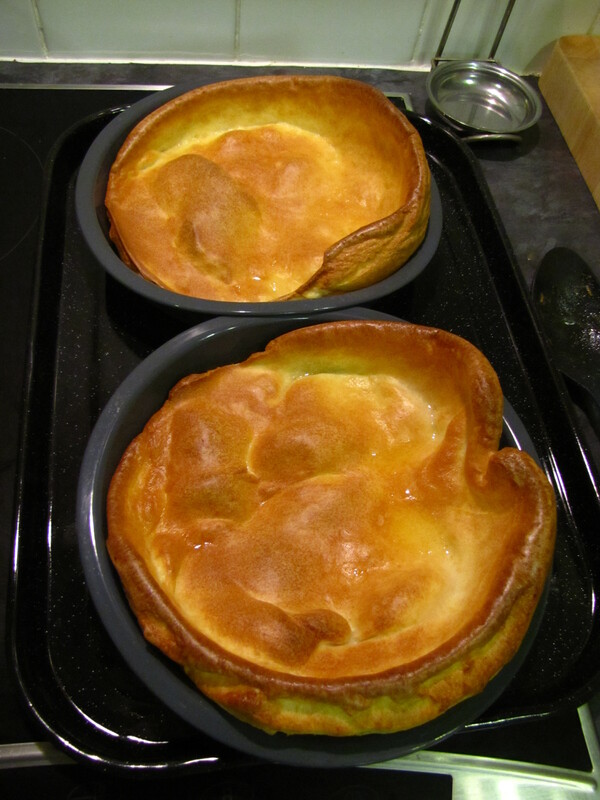 It was a regular when I was young – proper Yorkshire Yorkshire puddings. Not those dainty little puff-balls you get in restaurants or frozen in the supermarket, but proper dinner-plate size puddings, covered in with the filling of the day. They are really easy to make, and you don’t need to make them that big – can use a muffin tin and have lots of small ones. Alternatively, pour the batter over a tray of partially cooked sausages for a wonderful ‘Toad in the Hole”, and serve with an onion gravy. 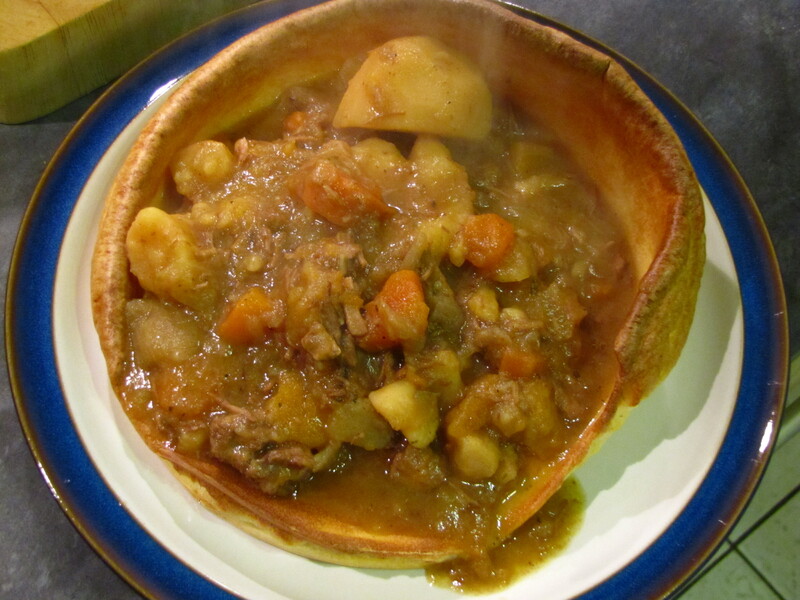 TOP TIP: Use the last tablespoon of batter from your bowl to stir into that beef casserole if you want to thicken it up!